San Francisco’s investigation into allegations of a hidden safety risk at the Millennium Tower hit a snag Thursday when fire inspectors were unable to get access behind interior walls to confirm the problem themselves. City fire and building inspectors promised to return to tower resident Paula Pretlow’s 31st floor unit later this month. That’s when the building’s homeowner association is expected to conduct further testing and seal openings responsible for an odor problem that also may signal a fire risk. 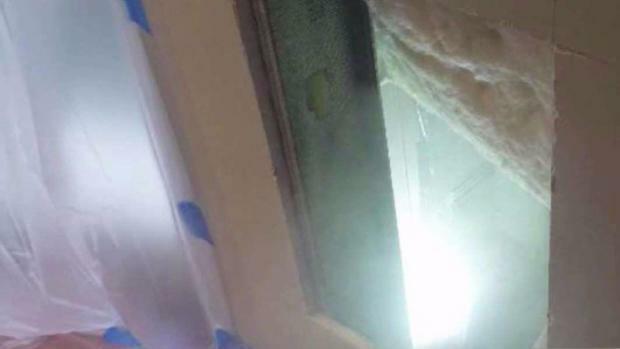 Experts hired by the homeowner’s association last year isolated holes in Pretlow’s floors and walls around her ventilation system ducts and piping as the source for stray odors. At a city supervisors hearing Tuesday, Pretlow stressed what fire safety officials had told NBC Bay Area: those improperly sealed openings could allow smoke and flames, not just odors, to invade hers and other units. 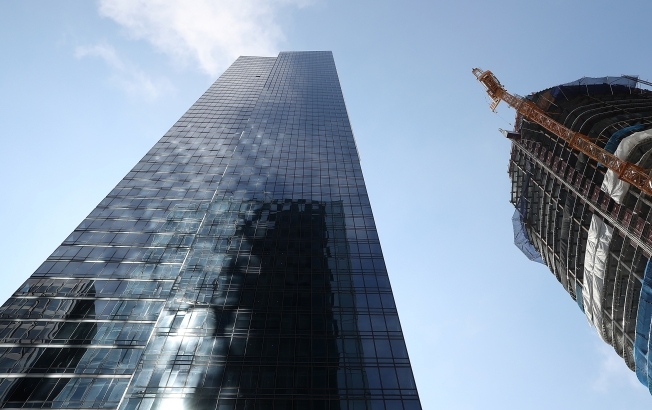 San Francisco’s investigation into allegations of a hidden safety risk at the Millennium Tower hit a snag Thursday when fire inspectors were unable to get access behind interior walls to confirm the problem themselves. Investigative Reporter Jaxon Van Derbeken reports. “This is a serious fire and life safety concern,” she said, urging supervisors to intervene to help residents of the troubled 58-story building, which has sunk 17 inches and is tilting to the north and west. William Strawn, spokesman for the Department of Building Inspection, said after officials came to Pretlow’s unit Thursday morning that the city could not simply accept photos or findings of a consultant’s report about Pretlow’s problem. Inspectors had to actually see the issue themselves. That was not possible Thursday, given that the walls of Pretlow’s unit have long since been resealed after testing done in December. “In order to verify a complaint, they have to be able to see what is sort of the issue here,” Strawn explained after the visit was cut short. Strawn promised Pretlow that inspectors could be back as soon as next week – when her walls are expected to be reopened for further testing and repair work on the unsealed openings. Meanwhile, NBC Bay Area has learned that city inspectors continue to find such gaps in the common areas of the building. On July 18, records show, the city issued a notice to fill gaps around sprinkler piping in the basement. Unsealed gaps, by code, should be filled with red, fire-safe caulking to keep smoke and flames from advancing up the walls of the building. Inspectors found several unsealed gaps around basement area pipes in December and ordered the problem fixed. But the issue was considered a maintenance issue and city officials did not issue a correction notice as they did last month. At a committee hearing on Tuesday, Supervisor Aaron Peskin wondered that given all that has been reported about the problem, what, if anything, the city was going to do to assess the entire building. Strawn told Peskin that he believes that widespread problems with unsealed openings would have been found during the series of inspections conducted while the building was still under construction.